Do you want the pleasure of drinking organic coffee without the caffeine pick-me-up or buzz? Don’t lose any more sleep over it and opt for Trees Organic SWISS WATER® Decaf coffee! The caffeine is removed with the only globally branded 100% chemical-free water decaffeination process, and surprise, surprise, the water is not from Switzerland but comes from the Coast Mountains of British Columbia! Here’s the scoop. Some people are more sensitive than others to caffeine and experience variable side effects, such as sleep disruption. With the SWISS WATER® Decaf coffee beans that we offer, you get the best of both worlds. You can carry on enjoying great coffee without caffeine and without compromising the aroma, taste, body, health benefits and organic quality. No decaf coffee is caffeine free, however SWISS WATER® Decaf coffee is 99.9% caffeine free, which is as close as you can get! Unlike most commercial methods that use chemical solvents to extract caffeine from the beans, SWISS WATER® Process only uses pure water and GCE (described below); therefore, ensuring that decaf organic coffee stay free of chemicals. Better for you and the environment! And, in line with Trees Organic’s coffee standards, the process is certified organic and their decaf coffees that we get are Fairtrade certified. 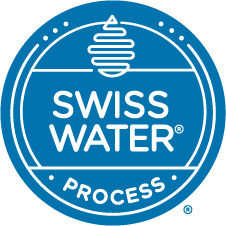 SWISS WATER® Process was pioneered in Schaffhausen, Switzerland in 1933; hence, the name’s origin. 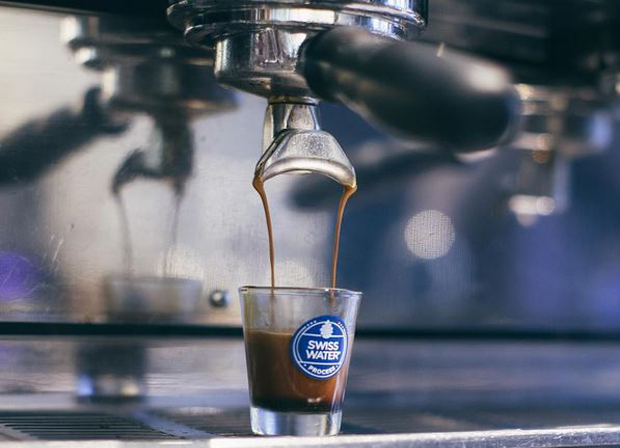 In 1989, the SWISS WATER® Method was developed and introduced to consumers by the Swiss Water Decaffeinated Coffee Company, based in our own backyard of Burnaby, British Columbia. Their decaffeination process (illustrated below) removes caffeine from the green coffee beans using four elements (coffee, water, time, and temperature) and based on the concepts of solubility and osmosis. More uber-details about the method are available here. 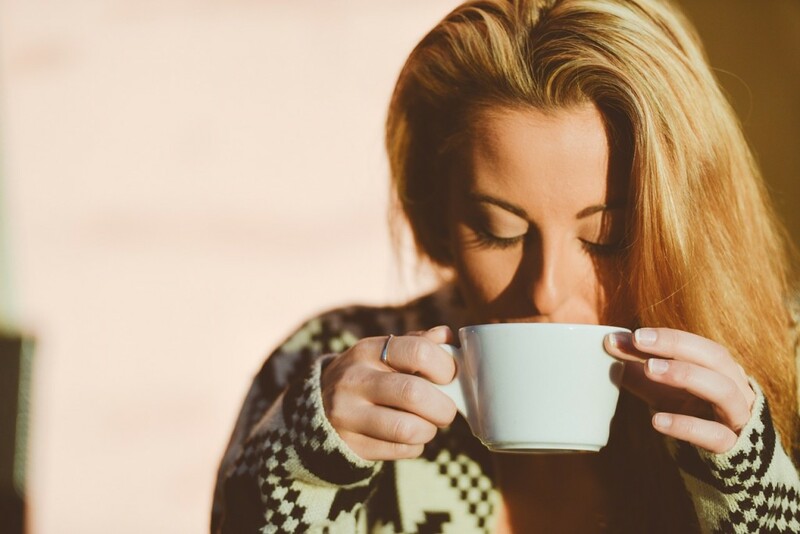 With the SWISS WATER® Decaf coffee, you can still enjoy coffee to the fullest because the nutritional value and range of health benefits of decaf coffee are considered the same as regular coffee. Similarly, the distinct aromatic and flavour qualities of a coffee bean varietal are largely preserved by the unique, chemical free water process. Embrace your coffee experience any time of the day at our coffeehouses or at home. You can reach for our regular organic coffees when you need a boost of caffeine and switch over to our organic decaf coffee when you want to keep calm and carry on!